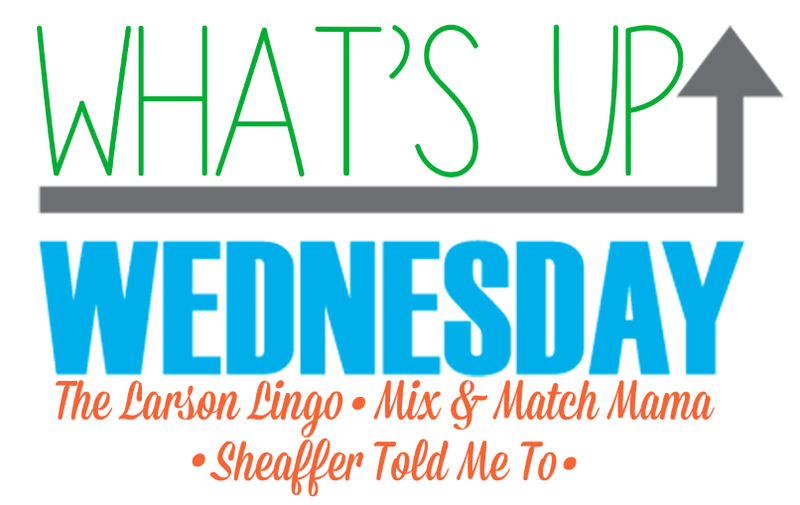 I actually remembered to participate in a What's Up Wednesday two months in a row and post more thank twice this week. Total win. When my girls were little. I went to my friend's baby shower Sunday and there were so many babies there. It made me want another little babe so much. All the Fall clothes. I have been buying way more than I should. I picked up the cutest button up top in Phoenix, plus a Pink Floyd shirt and a pink sweater from Gap. I am also loving IT Cosmetics eye concealer. I use it on other areas of my face and it covers sooo well. I use it under my foundation, the one that illuminates and it covers all my breakouts. Well I have been traveling a lot for work, so in between we have been going to football games, doing Fall like things with the girls, going to the park a ton and potty training the girls. We are almost to the point of no pull-ups at night and nap time. I will be celebrating when we don't have to buy pull-ups or diapers anymore. What a great feeling. Nothing really. Ok, maybe going to Vegas on Monday for work because I have a massive case on the agenda that I have been working on for two and a half years. I love the Vegas part and being there, but the case gives me anxiety. Ugh. Wrapping up some cases at work, picking out our outfits for Fall photos (this weekend, nothing like last minute), putting together our outfits for Thanksgiving (we are traveling for it) and starting to research what I want to make for Christmas dinner. Halloween with my girls. I can't wait to take them trick or treating on Tuesday. They are going to be Minnie Mouse and are beyond excited. We have a few Halloween activities planned this weekend as our test run. I finished The Perfect Stranger while on the road for work. I was intriuged the entire book, but was sort of let down at the end. I liked it, but didn't love it. Now I am reading The Husband's Secret. I am about a quarter the way through the book and I am liking it so far. I am watching all the Fall tv. I can't wait for even more of my favorites to come back. Has anyone heard if The Affair is coming back for another season? I love that show. I just finished Bloodline and I am soooo sad it is over. I am even more sad that I can't watch John Rayburn in Friday Night Lights. Bring it back Netflix. Nothing at the moment. It is lunch time and it is eerily quiet around here. What I mentioned above. 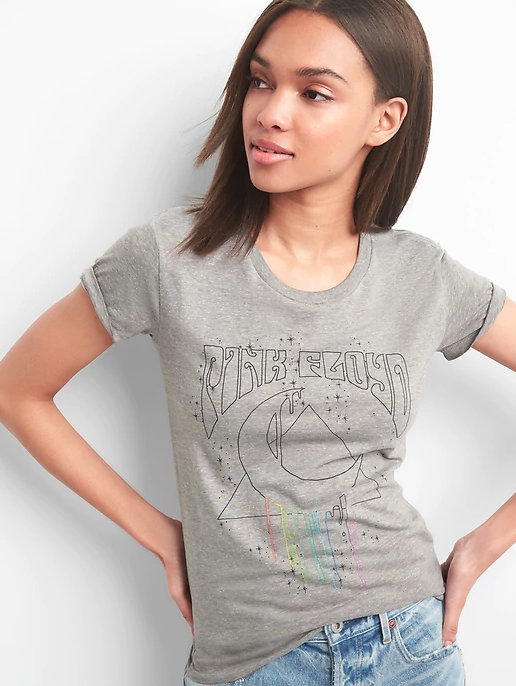 I am always looking for new shirts and things to wear. I can't wait to show you my new button up that I found at a random boutique. Friday is Nevada Day, so we have the day off. I am not sure what we have planned for that day, but the following day we are going to go to the Nevada Day parade (I haven't been since I was a kid) and then to the Discovery Museum to take the girls trick or treating there. Sunday we have our family photos. November brings more work travel for Rory, so I am looking forward to more time with my girls. I am also excited about Thanksgiving in Las Vegas. And I just might squeeze in Fantasies in Chocolates right before Rory leaves to Florida. It is a black tie affair for charity and it is so much fun. Think decadent wines, food and chocolates. We took the girls to the doctor yesterday for their annual flu shots and to get Sutton's stomach checked out. She complains of a tummy ache a lot, but never at school. I don't know if it has to do with potty training and not pooping enough, acid reflex, attention or what. But I wanted to get her checked out since she complains about it a lot. It never has a fever accompanied to it. Just a tummy ache. The girls will be 3 in December and I am starting to plan for their birthday and Christmas. My dear friend Heather is going to do some head shots of me for this blog and some three year old photos of my girls. I hope to use these photos on their invites which for now I am going to have a small get together. Maybe bigger next year. I do want to invite their best friends from school which are twins born a few days after them. So cute. Toss up between mashed potatoes with gravy or green bean casserole. 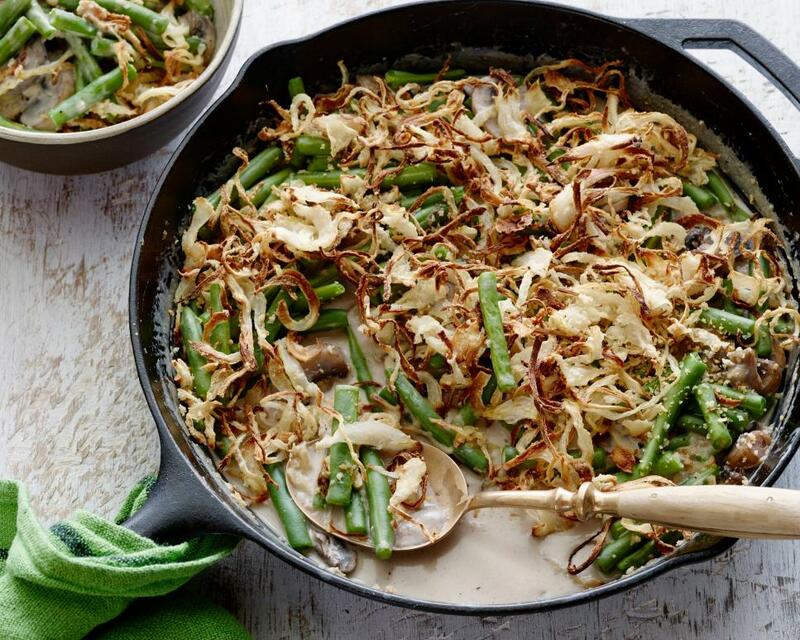 My SIL found this amazing green bean casserole that you actually make the baked onions and it has no cream in it. It was still really good and I hope to make it again. It is by Alton Brown and it is amazing. Good luck with that case! I always hate the anxiety around big/stressful meetings...it gets me for weeks beforehand sometimes. 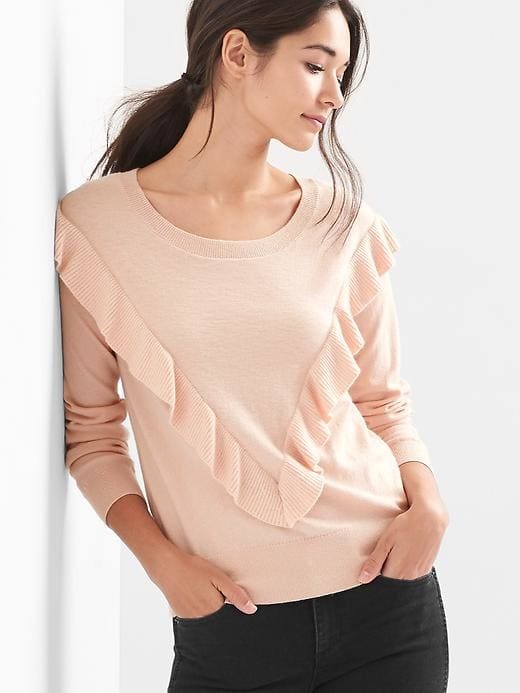 That link sweater is so pretty! 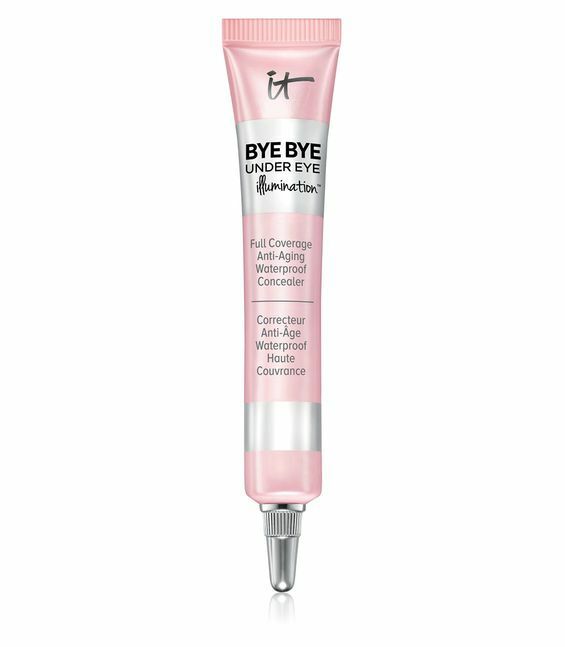 I've been on the hunt for a new concealer and have used the original version of the bye bye under eye, but I really like the sound of that one being illuminating. It sounds like you have a fun weekend coming up. I'm excited for Halloween with Miss Andi this year too! Loving that sweater and I might need to check out that concealer as well! Good luck with your case next week. I'll be thinking about you! I will be going to Vegas next week and I am excited! I am happy that Fall finally showed up here in TX and I hope it decides to stay for awhile. Tomato soup and grilled cheese sound so good. I haven't had that in awhile. I hope that your case goes well! Oh what are you doing in Vegas? Oh you should definitely make it or order it somewhere. So good. A fall favorite of mine. I'm loving fall TV - a couple of the new shows I'm really enjoying are The Good Doctor and Kevin (Probably) Saves the World. Have fun trick-or-treating with your girls!! I have heard good things about both of them. How is it that these kiddos are going to be THREE?! I still can't believe Ben just turned three...it's so crazy. I love reading these things to see what everyone is up to. Good luck on your trip to Vegas. I'm sorry you have to go, I know that is hard. My Dad was just there for work too. Thinking of you! I'm checking out the green bean recipe! I can't wait to see your girls in costume. How cute that they are best friends with another set of twins! Good luck with your case! I am loving all of the fall clothes as well! I need to revamp my wardrobe. I can't wait to see the girls as minnie mouse! I hope your big case goes well, I know you'll be happy to have it out of the way! I love all thanksgiving side dishes and I am starting to plan for Christmas too. I need to get on those flue shots as well. I hope you get the tummy trouble solved. That's no fun at all! Your weekend sounds so fun!! Love all the activities you'll do with the girls, they will have a blast! I bought the Husbands Secret based on you saying you were reading it, I'm only a little bit in but I like it too!